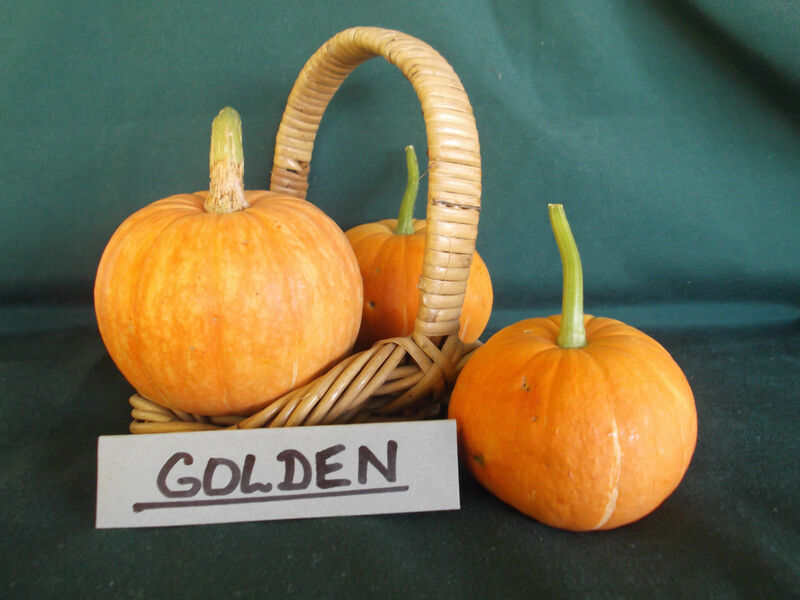 Golden or Golden pumpkin is a small variety of pumpkin from Asia. The fruit is round, flat top and bottom and lightly ribbed with smooth red-orange rind. The medium length, tall vine is a prolific producer of small fruit ranging from .5kg to 1kg in 95 days. Inside, the yellow/light orange coloured flesh is moist, firm, smooth and sweet and the ideal size for 1 or 2 serves. Often used as a soup cup. 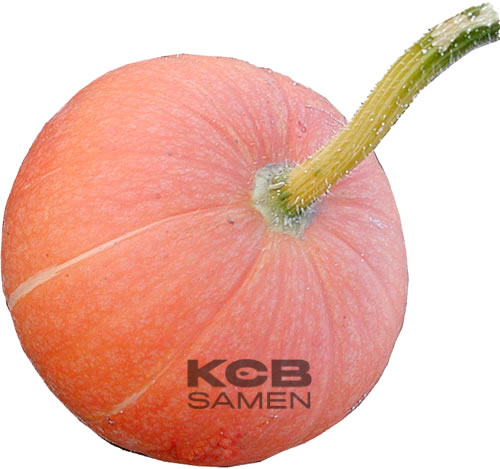 Plant: poorly growing, productive; Fruit shape: uniform and unigross, flat round, red-orange, slightly spotted; Fruit size (DxH): 15 x 12 cm; Flesh: yellow, slightly orange; slightly fibrous and watery.